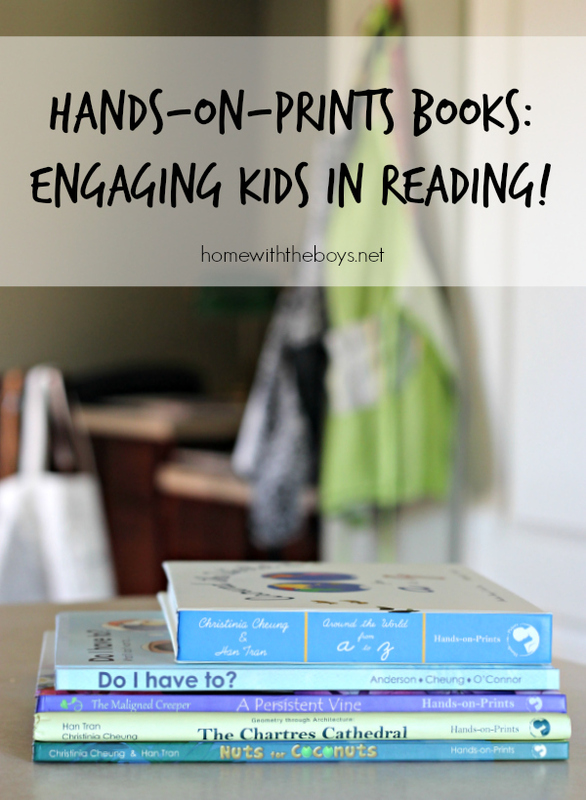 Hands-on-Prints Books: Engaging Kids in Reading! I participated in an Influencer Activation on behalf of Influence Central for Hands-on-Prints books. I received books to facilitate my review. This post contains affiliate links. We are a book-loving household. We have books of all kinds coming out of our ears. I’ve really tried to trim down our selection over the years, but I can’t seem to stop adding to our collection when I find something that looks good! 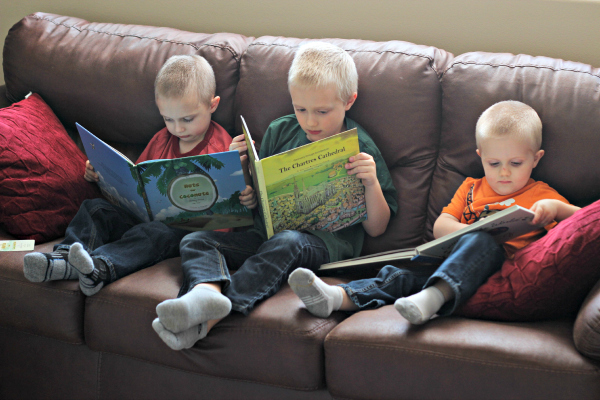 The introduction of Kindles in to our home has helped slow the rapid growth of our stacks and stacks of books, but there is still nothing like holding a physical book in your hands, especially when it comes to children’s books. I’m thrilled to introduce a new series to you that will really engage your children in books through great content, wonderful illustrations, and their senses! Christinia Cheung earned a Masters in Early Childhood Education and established a Montessori school that celebrates differences in personality, learning preferences and cultural backgrounds. Through these experiences, she was compelled to write her Hands-on-Prints books. This series of five books inspires simple and complex learning about the world, especially incorporating sight and touch to create an interactive visual experience for children. Hands-On-Prints books really are a unique set that my children and I are greatly enjoying! 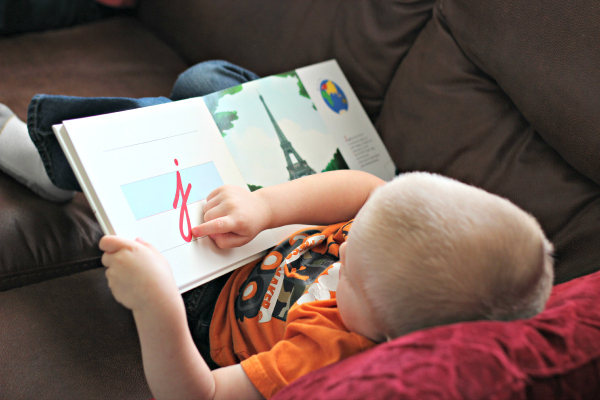 Our family favorite is Around the World from A to Z! Around the World from A to Z takes kids on a journey to explore the activities, famous landmarks, and cultures of countries. Rock climbing at Mt. Rushmore, martial arts at Mount Fuji, and snorkeling at the Great Barrier Reef are just a few of the fun adventures highlighted in Around the World. My boys loved seeing what activity would be on the next page and finding the location on the map in the upper right corner of each page! 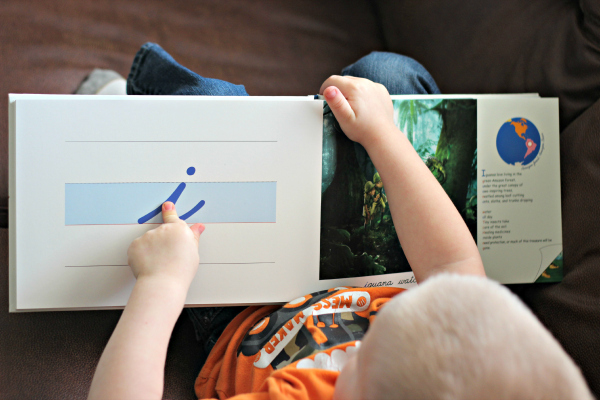 Each page also features a raised, textured cursive letter of the alphabet for little hands to trace! Our oldest showed his younger brothers how to trace them correctly and I’ve caught them doing it over and over again. This book has so many things to get kids involved in learning! We are big fans! Several years ago, The Hubby and I visited Europe and one of our stops along the way was in Chartres, France. We explored the gorgeous and incredibly unique cathedral in this town and were fascinated by the story of its construction. Because of that visit, this next book is a sentimental favorites. Geometry through Architecture: The Chartres Cathedral details all the ways shapes were used in the building, particularly as symbolism in the stained glass windows. 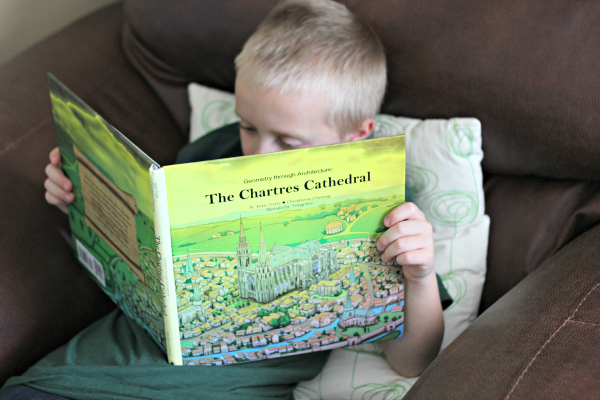 I loved looking through this book with Big J and showing him our own pictures of the cathedral from our visit. He is his mother’s son – very interested in reading and history – so this was a great connection point for us! 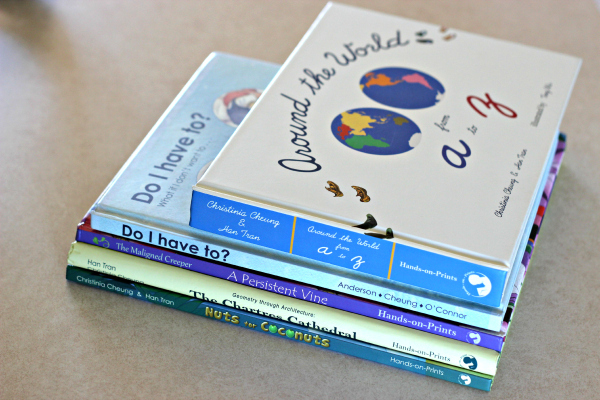 Other books in the Hands-On-Prints series include Nuts for Coconuts, A Persistent Vine, and Do I Have To? What If I Don’t Want To? Hands-On-Prints books take children on adventures that develop their knowledge and a sense of discovery! I love how these books encourage kids to think outside of themselves and their normal circumstances. They truly do inspire the best in young learners! 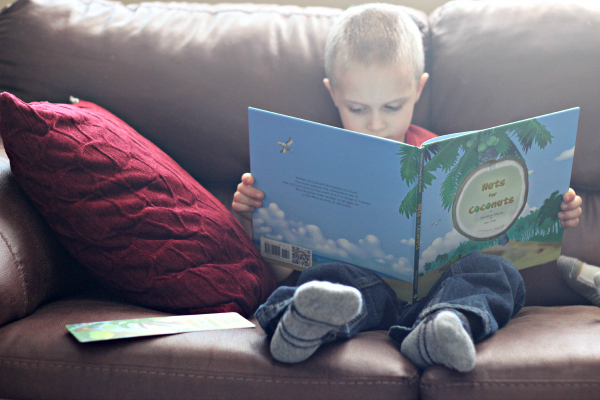 Which Hands-On-Prints book would be most interesting to your child? Leave a comment with your favorite to be entered to win! Giveaway ends Tuesday, May 26th at 9PM CST! When I read the title, “Geometry through Architecture” I actually felt this surge of excitement. Must be a homeschool thing, or book lover thing. I was also greatly excited by the traceable letters. My first thought when I saw the picture of Little J with the book was, “Oh, I hope those are raised!” These look like fabulous books, well worthy of permanent shelf space. I’m not sure which would be most enjoyed by my kids but I would sure enjoy them all :). Around the World From A to Z looks like an amazing book! I’d love to add it my collection and share it with my first graders. They’re all amazing but I LOVE the images in The Persistent Vine! 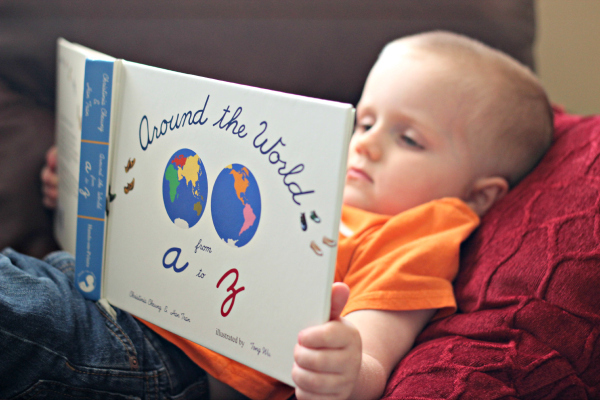 Around the World from A-Z would fit in perfectly with our light preschool-at-home curriculum this year! Sorry to be off topic, but I love your couch! May I ask where you got it?